So we have to settle for the Cleveland "I." If anybody wants to take me to task for calling the Indians a "lost organization" last month, feel very free. I definitely deserve it. The Indians kept rolling, beating the Red Sox 3-2 and are the first team to 30 wins in the bigs. You may be asking yourself, who are these Indians? I know I am, so let's look at who's driving this team. First of all, names you might have heard. Shin-Soo Choo is (until recently, anyway) the current holder of the Garrett Anderson "Most Underrated Award." Anybody who had him in fantasy knew what he was doing, along with guys on MLB Network, but that was about it. He is the product of a baseball academy in Korea, and they did a fine job. Apparently the man can hold his liquor, too. I don't think I would even be standing if I blew a .21, let alone trying to drive a car. You've also heard of Grady Sizemore and Travis Hafner, but the Tribe have been doing this damage without them. They've played a combined 50 games, and they were all very productive games. But, when two (star) players combine for just a touch more than total games played, there's an issue. A definite name to remember is Asdrubal Cabrera (SS). Right now, the guy is hitting for a .312 average, hit 10 homers, stole seven bases, and is boasting an OPS* of .919. That OPS number is 14th best in baseball, and he's done it with 186 at bats. The 13 ahead of him average 160 at bats. He's got a very impressive season going and ought to be an All-Star. I would argue that he should be the All-Star starter, but I doubt he has the name recognition yet. We'll see if Jeter's struggles have dimmed his star amongst casual baseball fans yet. I'd wager no. *On Base Plus Slugging. Pretty much what it says, your on-base percentage plus your slugging percentage. Anyway, back to the Indians. I was going to keep going down the list, but it's become very clear very quickly that basically everybody on the roster is having a very solid year with names you never heard of. Or had heard of, but were definitely not impressed by. * Which sounds awfully familiar. It might be a good thing MLB finally put a team in Miami. ** Plus, the real owner looks like this rather than this. *Here's looking at you, Justin Masterson and Fausto Carmona. **That might be a regretful decision, though, going by the attendance numbers. Maybe the new ballpark will help. So, to all who despaired because it looked like LeBron took the last mangled remains of Cleveland and stomped on them with the glee of a three-year-old stomping on a bug, fear not. 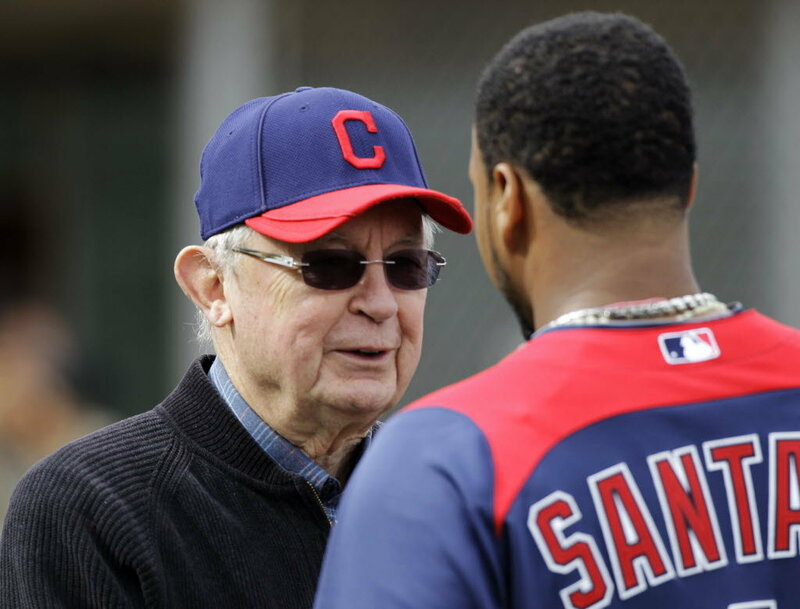 Chief Wahoo has restored some hope in a city that is perennially in short supply. Plus, I know a lot of people have been down on Chief Wahoo the past, oh, I dunno, fifteen years or so. I, however, love him and love the Indians hats. So, here's a picture of him, just because. And if somebody can make him into a pretzel, by God, I want pictures.